Steve Gaskell is now a franchise partner with ActionCOACH, the world’s number one business coaching franchise. 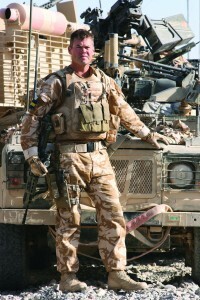 The 47-year-old, from Newton Abbot, left his army career with the hope that he could spend more quality time with his family. Steve joined the army in 1985 and 22 years later became the Regimental Sergeant Major of the Princess of Wales’s Royal Regiment, ending his career as a commissioned captain. Having served in Northern Ireland, Bosnia, Iraq and Afghanistan, his final posting was as the Welfare Officer at Woolwich barracks in London, looking after 720 soldiers and 264 families. In the run-up to leaving the army, Steve carried out 18 months of extensive research into what to do and kept coming back to ActionCOACH. The business has, very quickly, allowed Steve to become part of the hub of his business community. He not only directs his local Business Network International group, but he is also on the Chamber of Commerce committee and is in line to take over the chair. Through discipline and focus, Steve now owns a successful business with great growth aspirations or the future. While he has autonomy in the delivery of his coaching, he has the support of a national and global support team. In just 18 months, Steve’s business has helped him achieve great things. 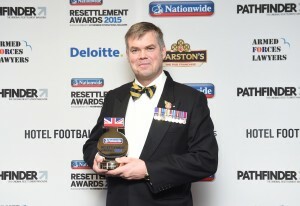 He won the inaugural Nationwide Resettlement Awards as Franchisee of the Year 2015, beating off many other entrants and two other worthy finalists. The business he initially started from home has recently moved into spacious offices, where he can offer one-to-one coaching or group sessions. “The business has just gone from strength to strength,” Steve says. “Sometimes I have to pinch myself. It’s been hard work, but I am proud of what has been achieved and we have some exciting plans for 2016. It’s not surprising to hear that Steve has a regimented approach to operating and growing his business. He now employs a Business Manager and a Business Development Manager, who have helped him to leverage his time dramatically and allows him to add real value when coaching his clients. In fact, Steve expects his business to grow to the level where he will need to employ an additional business coach later in 2016. While all of this business success is fantastic, the most important thing for Steve was to spend more quality time with his family after so many years of active duty with the army. “It sounds like a cliché, but none of this would have been possible without my wife’s unbelievable support,” Steve says. “Sam has been my rock, looking after our family during my absence on deployment, always placing her needs second and always there for me and the kids.